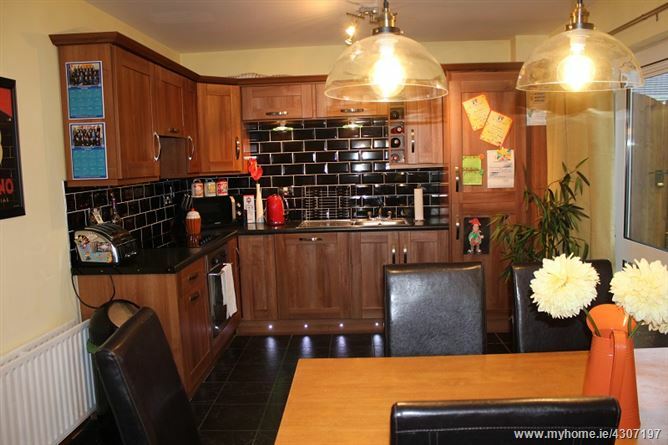 Show house condition throughout! 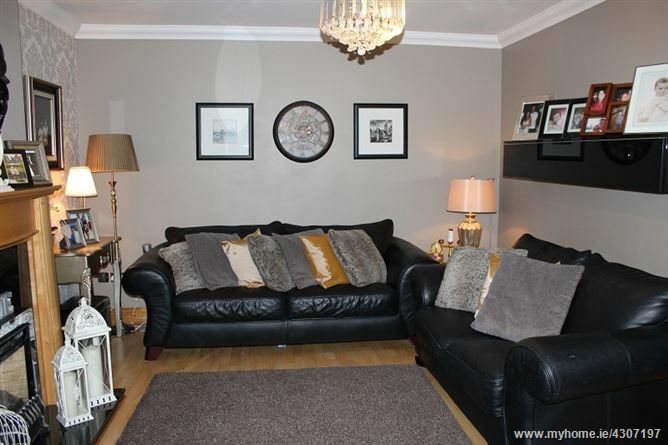 No 30 Mount Eustace Park is a stunning 3 bedroom end of terrace property. 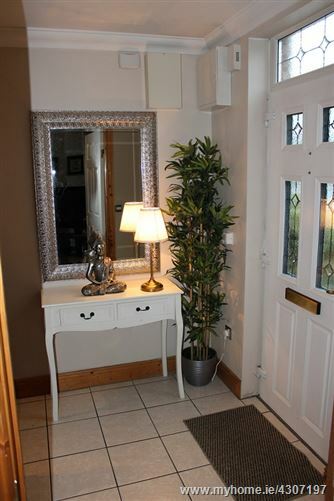 New to the market, this property is presented in show house condition throughout with a lovely modern feel. 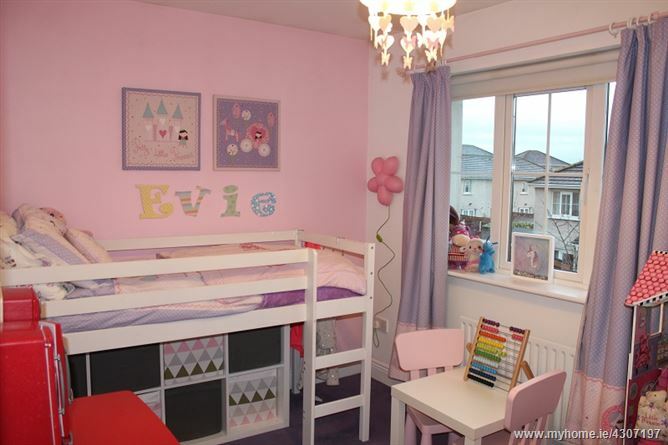 Every room is bright and airy due to its south west facing orientation. 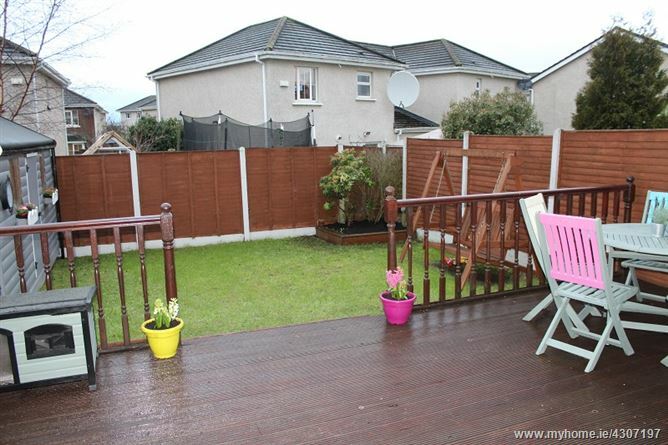 This property would be perfect for any first time buyer / family looking for a quality home in walk in condition in a quiet residential location. 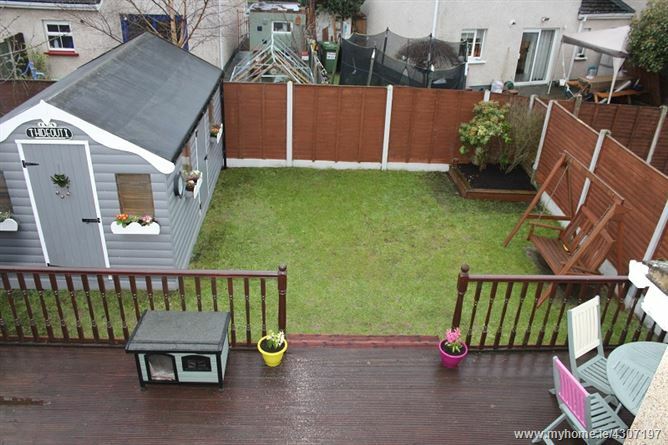 Some of the special features afforded to this property are spacious south facing rear garden with extra-large barna shed, off street car parking for two cars, large utility room, Immaculate condition throughout. 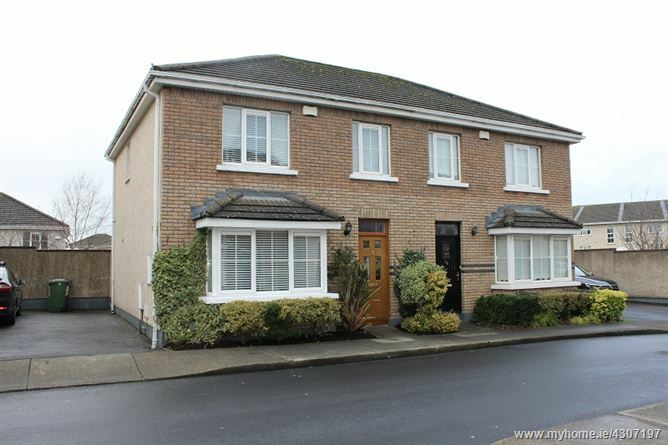 30 Mount Eustace Park is located in the development of Tyrrelstown which is approx. 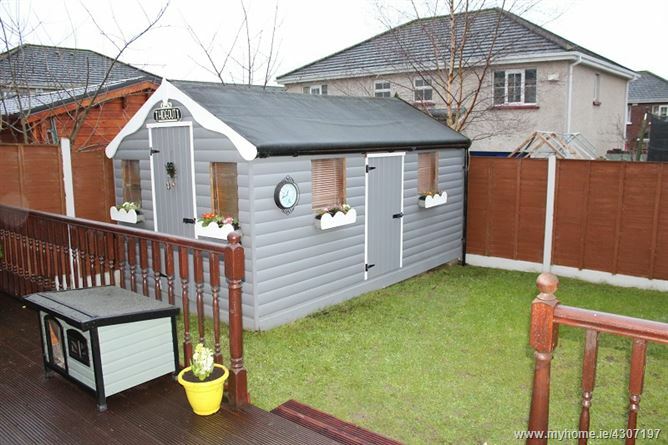 10 miles from Central Dublin, south of Hollystown golf course and within 2 miles of the Blanchardstown Centre. 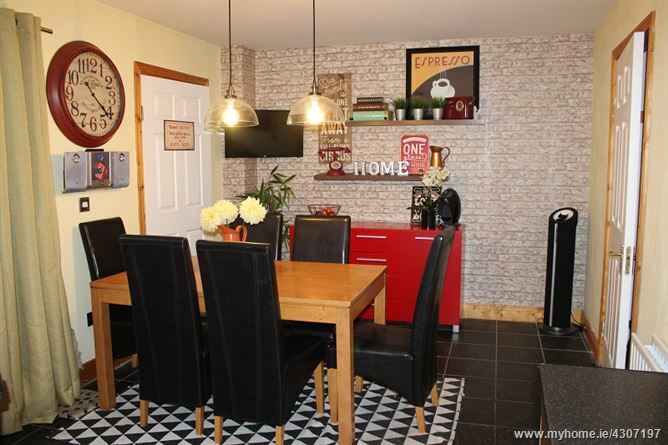 It is also within close proximity to Dublin Airport (approx 15 minutes) and is centrally located for easy access to the M50, N2 / N3 Link road and the N2 & N3. Tyrrelstown is close to all amenities the Blanchardstown centre has to offer, and the property has the added benefit of being within walking distance of the Tyrrelstown Town Centre which include retailers such as Super Valu, Lidl, Paddy Power, Hickeys Pharmacy and a variety of restaurants. Also located in the town Centre is a Bus Terminus, a local crèche, Educate Together Primary School & a medical centre. 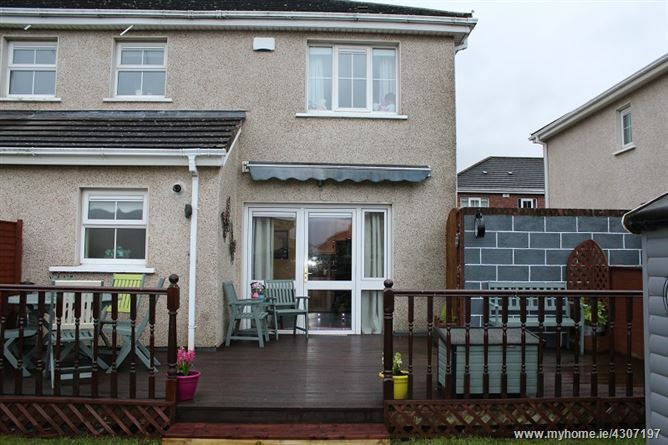 •	Show house condition throughout. •	Bright and airy throughout every room. 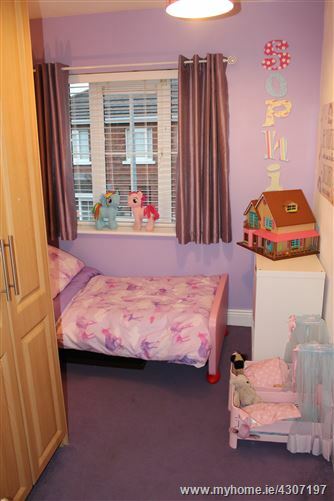 •	Located in quiet residential area. •	Off street car parking for two cars. 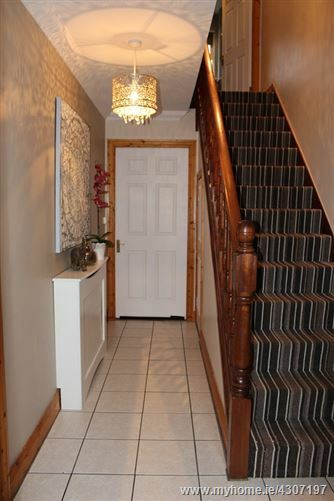 Entrance hallway: c.4.5m x 1.8 mtrs- Tiled floor, burglar alarm, radiator cover, and under stairs storage. 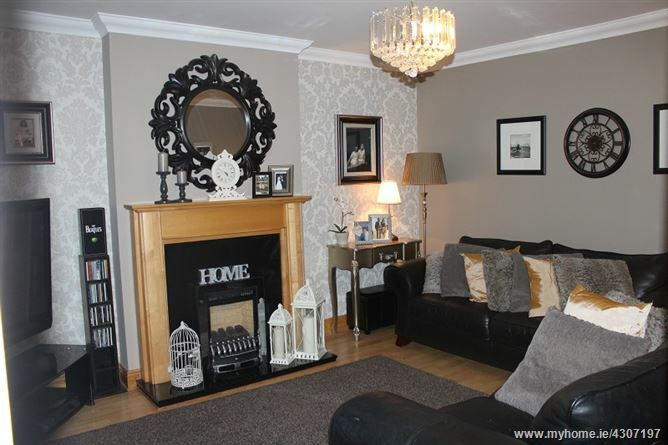 Living room: c.5.1m x c.3.7m (into bay window) –Semi solid wood Floors, feature fireplace with gas insert, Wall storage. 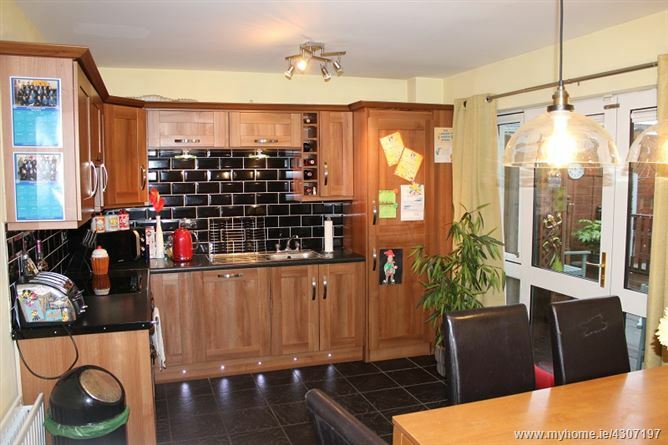 Kitchen / dining room: c.5.6m x c.3.4m – Spacious kitchen dining area, Tiled splash, with fitted kitchen, electric hob, cooker, dishwasher, integrated fridge freezer, light fittings, Patio doors to rear garden. 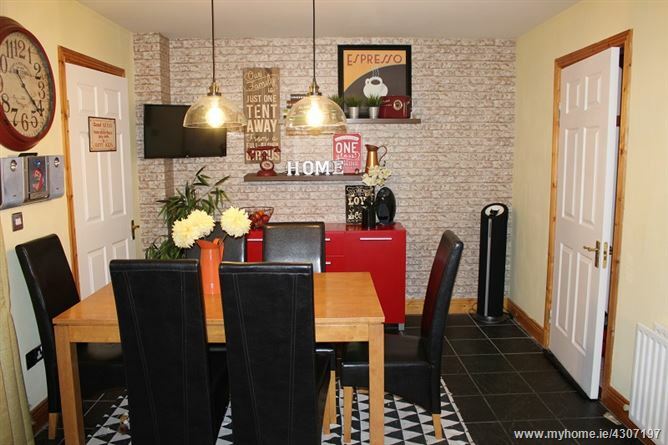 Utility / Guest w.c: 1.7m x 1.6 mtrs – tiled floor, w.c & w.h.b, Plumber for washing machine and separate dryer. 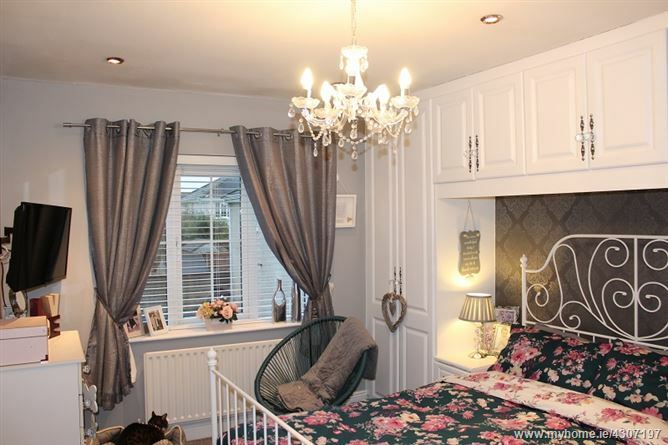 Master bedroom c.4.1m x c.3.1m – Carpets, down lights, fitted wardrobes, blind. 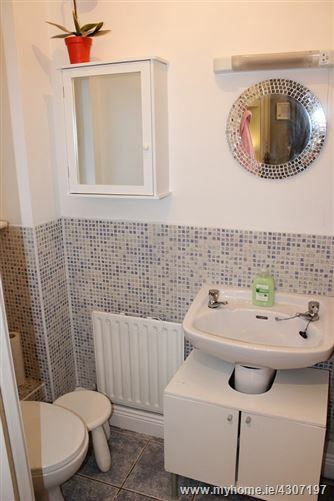 (Ensuite) c.2.0m x c.1.0m – Floor tiled and wall dado, w.h.b, shower with shower door, Storage. 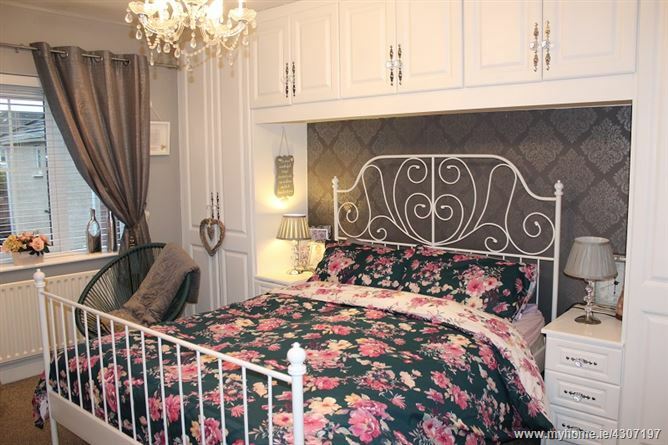 Bedroom 3 c.3.2 m x c.2.4m– Carpets & fitted wardrobes, light fitting. 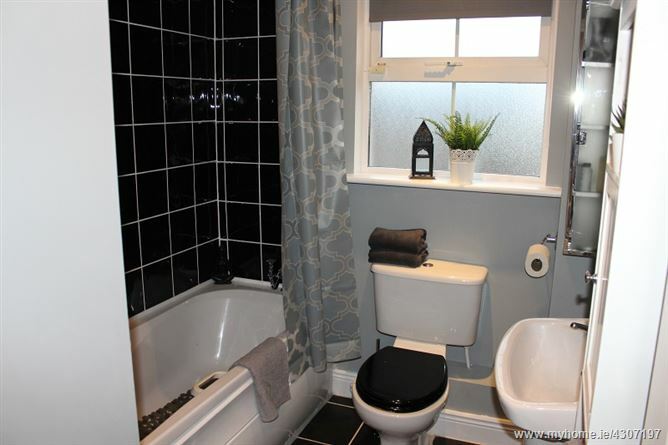 Main Bathroom c. 2.6m x c.1.9m – Floor tiled, bath with shower facility, tiled bath surround, w.c, w.h.b. 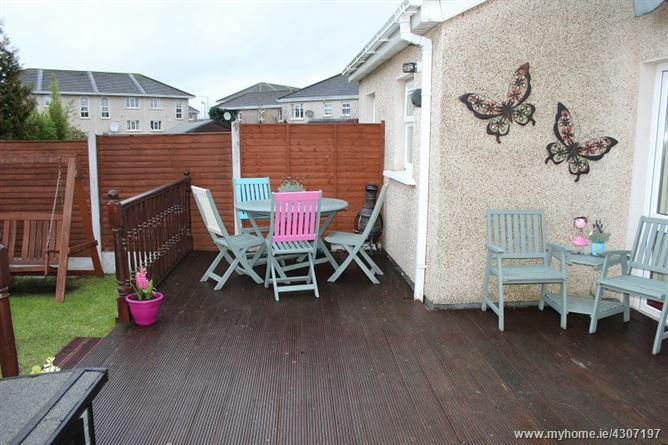 Rear garden – Stunning south west facing rear garden with decking and a selection of shrubs with extra- large barna shed.